Traffic management and improving air quality are two of the biggest challenges for any Smart City. Two interconnected realities, which are key to combating pollution and improving mobility without deriving the problem from other areas. 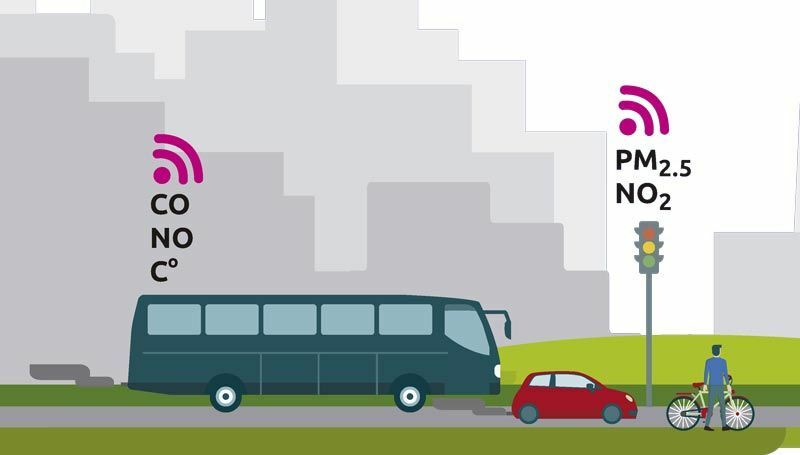 The new IoT technologies allow the creation of crossed systems to manage large-scale traffic according to environmental pollution levels and implement specific measures depending on the different scenarios and at different times of the day or year. The Kunak Environment 4.0 systems allow the development of advanced tools for traffic management, combined with environmental pollution data. They monitor parameters such as CO, CO2, NO, NO2, Nox, SO2, H2S, O3, PM10, etc. and send the information to Kunak Air Cloud, an advanced control panel that allows to configure alerts, perform multi-parameter analysis and remotely manage and calibrate the equipment. An “end to end” fast deployment solution to manage urban traffic in the most efficient way.